Developer? Click here to download the latest version instead. 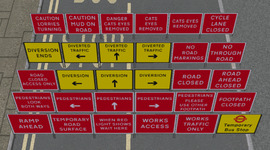 This pack has been made for OMSI 1, but has been tested and found to also work in OMSI 2. I cannot be held personally responsible if the installation of this pack directly or indirectly results in the breaking of your OMSI or OMSI 2 installation or installed map(s); or loss of data. It is highly recommended to remove prior versions of this pack before installing this version. 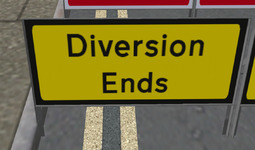 To do so, delete the existing Addon_British-Style_Road_Markings, Addon_British-Style_Road_Signs and Addon_British-Style_Roads folders from Sceneryobjects and Splines in your OMSI/OMSI 2 installation. 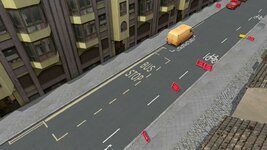 Copy the Sceneryobjects and Splines folders found inside this download to your OMSI or OMSI 2 folder. This re-upload is provided solely for the purpose of getting old maps to work. It is strictly prohibited to redistribute this release in any way (both with and without being bundled with a map). It is strictly prohibited to use this release in any map released on or after 2019-01-01. It is strictly prohibited to modify the content of this release in any way.